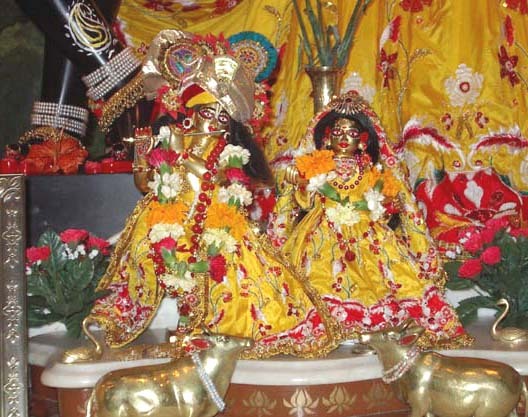 "The Deity is known as arca-vigraha or arca-avatara, an incarnation of the Supreme Lord in the form of a material manifestation (brass, stone or wood). Ultimately there is no difference between Krsna manifest in matter or Krsna manifest in spirit because both are His energies. For Krsna, there is no distinction between matter and spirit. His manifestation in material form, therefore, is as good as His original form, sac-cid-ananda-vigraha."